For over twenty-five years, our Rolling Landscapes team has been working together enriching the lives of our clients. 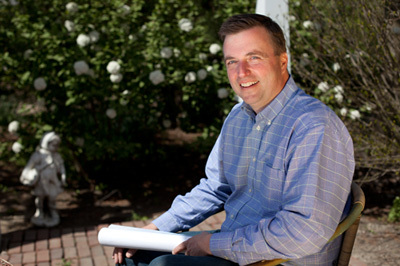 At the head of our seasoned team of talented landscape architects, landscape designers, masons and installers is our president and company principal Matt Culligan. Matt’s childhood helping his dad in their garden and his University of Illinois degree in Landscape Architecture speaks volumes to his love of and dedication to nature, design, and people. Yes, Matt is definitely a people person whom you will love working with. What’s more, if your project has special needs that require the help of professional contractors, we’ve got you covered. That’s because for several decades we’ve been partnering with and overseeing a network of trusted carpenters, electricians, arborists, irrigation and lighting specialists.